Surfing is the most fantastic sport and lifestyle and it’s great to become a surfer. However there’s often a big difference between what you imagine starting surfing to be like, to what it actually is like. In this second part of our article we check what’s involved, the best gear and approach, for you to be having fun going surfing. Once you’re competent on your softboard you can decide, do you want to go on the longboard path, above? Or the shortboard path, below? Once you know you you’re going to be a surfer, competently getting to your feet and surfing on your softboard, the next step is to upgrade your board. Here comes another fork in the road, where you have to make a decision. How Do You See Yourself Surfing? Do you see yourself as a longboard surfer cruising on long rolling walls? Or as a shortboard surfer, carving up the wave, smashing sections? There are big differences involved in riding longboards and shortboards. They are two different paths. A longboard surfs similar to a softboard doing longer drawn out turns. Until you become very proficient on a longboard you are typically going along the wave and turning in longer arcs. The longboard path is less demanding and will yield faster results. Going on the shortboard path and taking the step of downsizing you are aiming to do short arc and more dynamic turns. The shortboard path is physically demanding. To surf like a Pro, or just to be competent, on a shortboard will take a lot of commitment. How do you see yourself? What style is your surfing? Longboard or shortboard? On the longboard path your next step is to get a fibreglass longboard. This will be an easy transition from your softboard. Both boards may be similar in size and volume. The fibreglass longboard though will paddle better and glide better on the waves. So your whole surfing experience will step up a notch, without any effort. Unlike on a longboard where you can take one step from a softboard to a longboard, to surf a shortboard requires more transition steps. Going from your long softboard you can go to a fibreglass board that is shorter. To make a more gradual transition this can be a mini-mal. It’s a similar shape to a longboard, with full nose and straight outline, but reduced in length and volume. It makes the step towards a shortboard easier. If you want a transition board that looks more like a shortboard, then check out a hybrid or fish surfboard. Once you are competent on a mini-mal, the shortboard path is to continue to downsize, you can progress to a shorter fibreglass board. This can be a hybrid or fish style board. 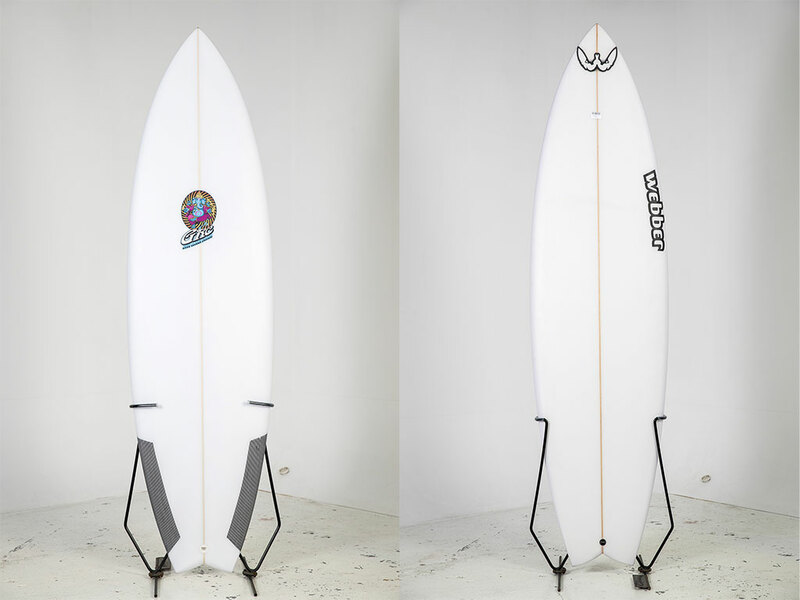 Both these style boards have a more drawn in nose than a mini-mal, starting to look more like a shortboard. These boards will still give you good paddling and wave catching and be easier to turn than a mini-mal. The reason you don’t go straight to a shortboard like the Pros ride is that these transition boards are still much easier to get around on in the surf and you will still be having fun. If you’re on the longboard path then there’s not much more you need to do in this step. The more proficient you become the more you can determine your personal style on your longboard. You may like the old school style where the board is heavy, gets momentum and cruises down the line. Alternatively there’s lightweight designs that give you speed and sensitivity for more precise carves. You can try carving longboarding or nose riding. You can have several longboards in your quiver and the surfing world will be yours. On the shortboard route we stopped at the hybrid and fish. This style board will allow you to do shorter arc turns. This style board still has volume so paddling and wave catching is easier. However short boarding surfing diverges greatly from longboarding, not just in your board, but your approach in the water, your approach to the wave. Progressing in your shortboard surfing means going to shorter more manoeuvrable shortboards. On these style boards the whole wave catching equation starts to change. It’s not just that the shorter board becomes harder to paddle hence harder to get waves. Shortboard surfing requires a different approach. It’s about catching the wave on the peak, on the steep part of the wave. Where the wave is pitching. To do this requires a whole new level of skill. It needs greater ability to read the wave so you know where the wave catching position is. It needs greater wave catching ability to be able to paddle to the right position, at the right time, for catching the wave. Your physical abilities and surf fitness, your balance, need to be at a high level to make this work. 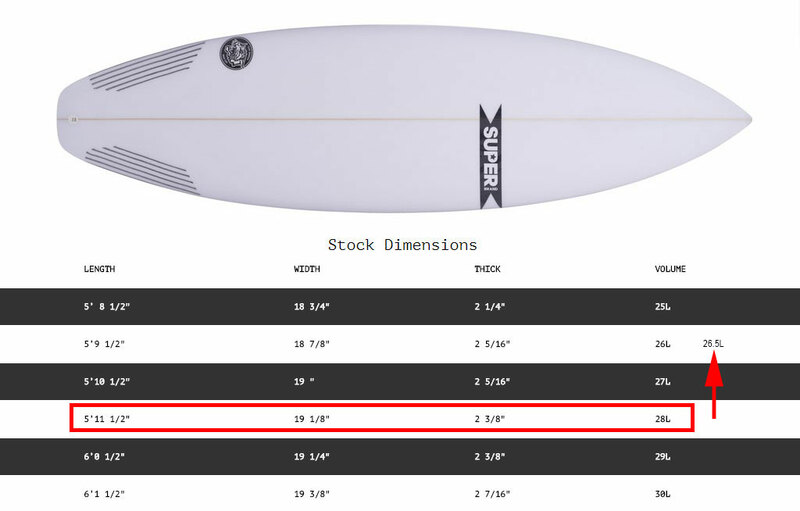 At the same time this shorter shortboard has less length and less volume. It is hard to paddle and inherently unstable so as to aid quick turns. Going to a shortboard is demanding. In this step you’ll need to start working on this type of more critical surfing approach. This stage may sound like the easiest stage but getting into the surf, surfing a lot, can take commitment and planning. It means getting up early, or surfing late. Whether it’s sunny or rainy, whether the waves are good or not so good. Do your best to surf a lot. 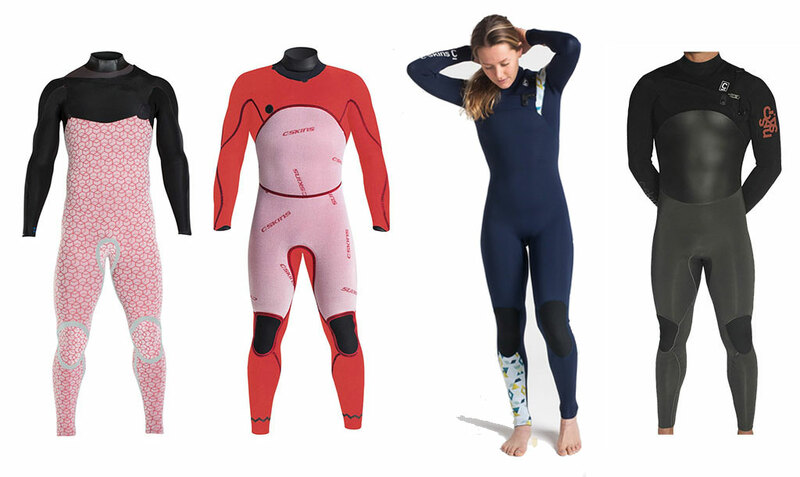 If you haven’t already, at this stage whether on the longboard or shortboard path you should upgrade your wetsuit. If you’re surfing a lot, early mornings before sunrise or late afternoons onto dark you need comfort and performance. If you’ve got to Stage Eight then a high quality wetsuit will give you greater performance with lighter more flexible neoprene construction. You also get great comfort with a plush lining. If you’ve chosen the longboard path this can be the ideal stage. You’re surfing, you’ve got good surfboards. It can all be about letting your personal style, your personal expression come through in your surfing. If you’ve chosen the shortboard path, it’s time to downsize to another board. You may keep your hybrid and fish. However at this stage, to hone your shortboard skill, you should become very familiar with and competent on one style of shortboard. This means finding a good shortboard design and sticking with it. Don’t go changing things too much. Even though fins are changeable you want to keep the way your board feels consistent so aiding your progression. Build up your confidence and competence so you can surf without having to think about where you are and what you’re doing. Work on your critical approach to the waves. If you’re a longboarder or shortboarder, at this stage you should be surfing everyday or as much as you can. Surfing everyday means learning to mast whatever the waves and the ocean are doing. You’ll learn to surf small and big waves, smooth and sloppy waves. You’ll be a real surfer. Don’t let your surfing stagnate. Even if you’re happy how you’re surfing, and especially if you’re not, try more boards. Try to keep any board you feel is special. There are magic exceptional boards. Many Pros keep their magic boards, when they find one, forever. For a longboarder, there’s advanced longboards. These look like other longboards. They are however constructed with lighter foam and lighter fibreglass. They have volume distribution and have a curve to them that makes them super responsive. It is worthwhile if you’ve gone the longboard path to try a performance longboard. For a shortboarder this step involves trying different shortboards. Try to find and work with a shaper. This is someone who should hopefully be able to see you surf. Or at a minimum understand how you surf. The shaper can then shape boards specifically for you on a consistent theme. Not just a board, but boards. As you progress you will get boards that are magic, that you perform great on. Others boards may not be so good. So make sure you hang on to boards that work for you and enjoy your surfing. Step Ten – To Compete? At this stage, longboarder or shortboarder, you can decide if you want to match your skill among other surfers. This could be joining your local boardriders club and competing in organised competitions trying to out surf your peeps. Most boardriders clubs have age groups and skill divisions catering for all surfers. There’s also clubs for longboarders and shortboarders. Be aware, competing brings a whole new vibe to your surfing. If you go too hard into competition, on one side it can change your enjoyment of riding waves. Part of competition is to be able to repeat manoeuvres whenever required. So when you’re surfing you’re constantly thinking how you could have done a manoeuvre better. If the waves don’t allow you to practice and perform, because they’re too small or sloppy, this can lead to surfing frustration. 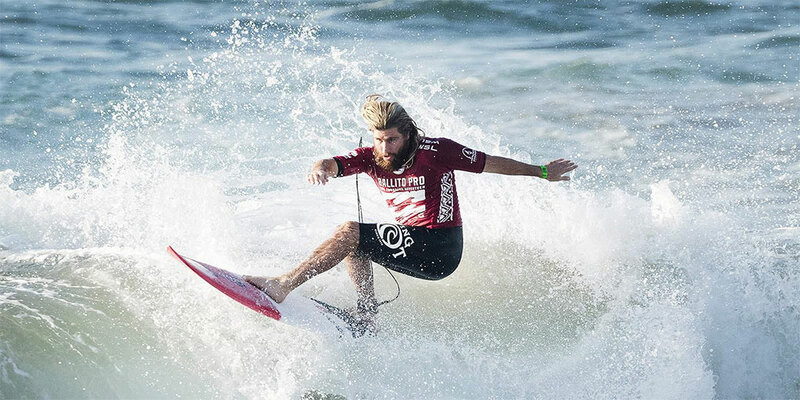 Competitive surfing can be extremely frustrating in tself as luck seems to play a big part. In a set timeframe you may just not get the waves you need to demonstrate your skill and so not get a result that matches your skill. Skill that you’ve put hours and hours of practice into. On the positive side, competition teaches you to value a wave. If you think about it, how often do you see a perfect, or close to perfect wave? So when one comes your way in the surf, competition teaches you to do your best with it. There’s lots of great competition drills, practice routines, that help you get a lot more out of your surfing. One great competition guide is not to paddle for a wave you don’t want or can’t catch. How often have you half-paddled for a wave only to turn around and miss an even better one that was coming behind? Competition also opens you up to understand all the different manoeuvres and how they fit together in riding a wave. For example if a wave is closing out in front of you, you can do a floater to go over it, a bottom turn to go around it, or smack it, instead of just falling off. If you do well in your local competitions there’s a whole world of surfing out there, including the World Qualifying Series and World Surf League ahead of you. Who knows you could become the next World Champion. They all started somewhere! 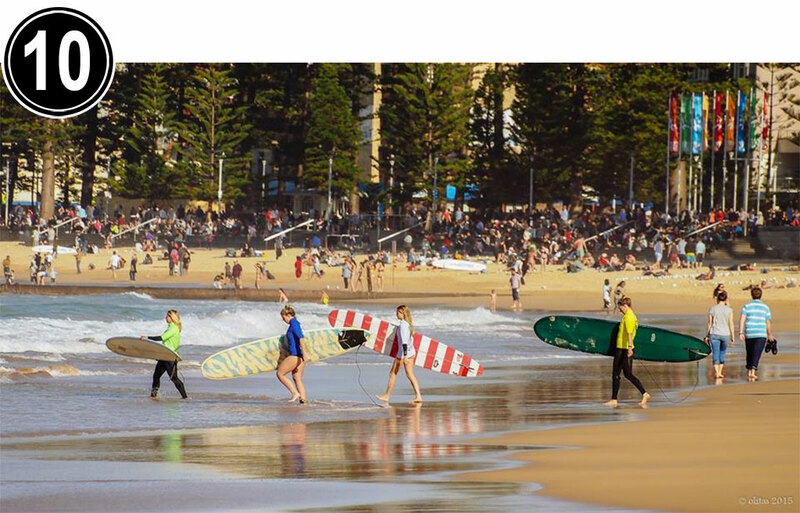 At Manly Surfboards we can help you on your surfing path.